Over the last few weeks I’ve been looking at the traditional repertoire of talent management tools and techniques. I’ve been doing the easy bit – dissing the old favourites like the 9 Box Grid and Hi-Po Programmes but not putting forward what might work instead. So I feel bad that I have been guilty of doing what I hate others doing…saying what doesn’t work without offering any alternatives. This blog will try and put that right. 1. Potential is not a fixed, concrete thing. Potential is contextual. I don’t mean that everyone can be brilliant like I’m “straight outta (hippy) commune” but rather that potential ebbs and flows depending on the individual’s context and that of the organisation. This needs to be recognised through an equally fluid approach rather than an annual talent review cycle. 2. Really fab people will always do well – it’s the majority of your employees you need to be worrying about. The insecure-overachievers who got straight A*s and 1sts and who excel at grad scheme assessment centres will find ways to achieve and be recognised without necessarily being singled out. I’m not saying you should ignore them – their hunger and ambition needs constant feeding – but they usually find a way of being heard. But what about the majority that languish in the middle of your 9 Box Grid? They may need more attention and effort to do great stuff. 3. We employ grown-ups who are responsible for their own careers. HR is an enabler but not the answer. 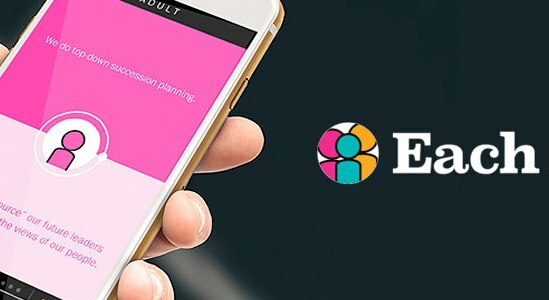 Whether we in HR seek control of the talent management process because we’re compensating for poor managers or because we feel we must own things for them to happen, our role is to enable our employees and our leaders to do this well and so we must relinquish control if we’re going to equip our organisation for the future. 4. Any system that is driven by line managers’ subjective views is fundamentally flawed. This is not because they’re rubbish managers (well, some of them are) but because we are all susceptible to rater bias. We are at risk of backing the wrong horses if that’s our only determinant of talent. 1. We have flatter organisations (25% flatter apparently) so the traditional climb up the managerial ladder isn’t as obvious and available as it once was. 2. Life longevity, better health and poorer pension benefits mean that we will have more and more people who can’t face 30+ years of daytime TV and who want/need to carry on working. Lynda Gratton’s “100 Year Life” puts forward a brilliant fresh perspective on the need for less linear career trajectories and have instead the ability to dial up and down as we move through our careers. 3. Whilst I don’t necessarily buy the whole “Millennials want to move jobs every 5 minutes” thing, there are certainly more varied employment options now and staying as a permanent employee for 40+ years is looking less likely. 4. AI is not taking many knowledge based jobs yet. But it will. And so the career pathing that we have been doing in HR will undoubtedly need a re-think. So, what does talent management look like in a disrupted world? I believe that HR will need to extend its talent attraction and management scope from one that is coterminous with its organisational boundaries to one that encompasses a wider community of talent. It will have an insight into the capabilities, aspirations and availability of people who don’t work within the company and who may never be on the payroll but who can provide the necessary injection of talent at the point of need. This is a big stretch for us and we aren’t yet geared up to cope with this extended reach. But it will be essential if we’re going to be able to deploy talent at the pace that’s needed. Gone will be the programmes that seek to cream off the top and provide them with the best of everything and more focus will be placed on finding ways to help the majority of employees increase their performance and potential. HR cannot hope to do this on its own and will therefore have to refocus its efforts on creating the conditions where this can happen (readily available information and insights, ease of movement, etc) and equipping line managers with the ability – and also the incentives – to do it well. How many of us genuinely celebrate the leaders who are net exporters of talent and frown on those that hang onto their people? Big cumbersome processes that take months to complete will disappear and be replaced by regular discussions about talent movement and roles that need refreshing. Individuals will have career conversations rather than an annual performance review and will be expected to demonstrate how they’ve grown not by some complicated form but through their CV or LinkedIn profile. Emphasis will be placed not on categorising talent but creating opportunities for growth and movement. Instead of having a rigid set of competencies that have to be ticked off, we will focus on understanding our peoples’ strengths and the unique contribution they can make. Our organisations, our teams and our roles will be the things that change and flex to accommodate these strengths not the other way round. Careers will be more fluid and less linear, enabling our people to dial up their commitments or dial down depending on their life circumstances. An impossible dream? Naïve? Not when you consider that much of this is already happening in some organisations. Whether it’s Zappos’ approach to talent acquisition, LinkedIn’s approach to career paths, Deloitte’s experiments around lattice career frameworks or Aviva’s strength based recruiting, HR is questioning the traditional talent management methods and finding new ways of meeting the needs of a disrupted world. If CEO’s put this as their number one priority and all we’ve got to offer is a 9 Box Grid, we know it’s time for something different. 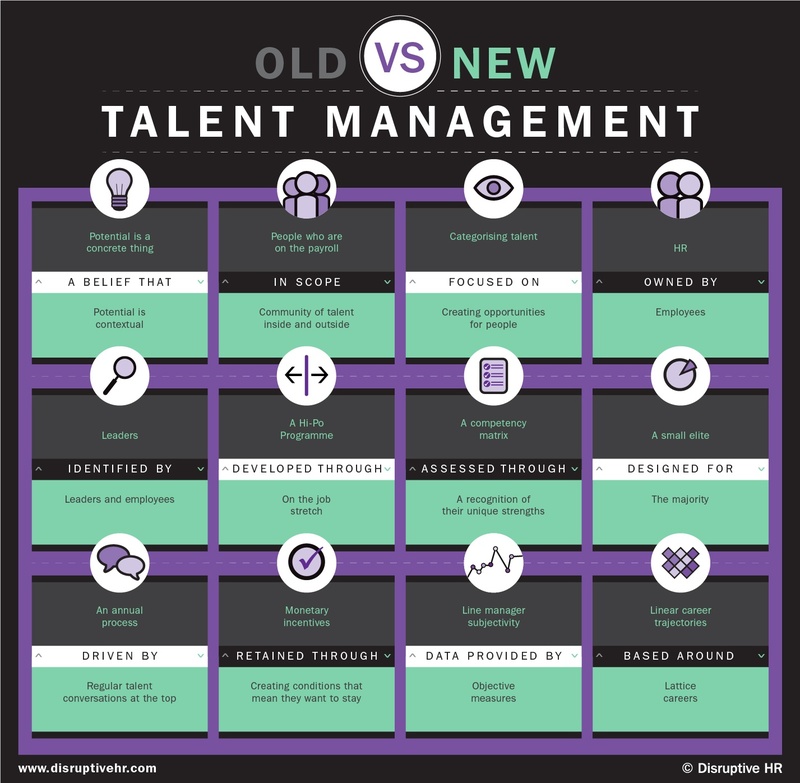 Why not have a look at my summary of “Old vs New Talent Management” below and see where you might try to experiment? You can read other blogs on the latest HR topics here. Want to know how equipped your HR is for a disrupted world? Why not take our free HR diagnostic? 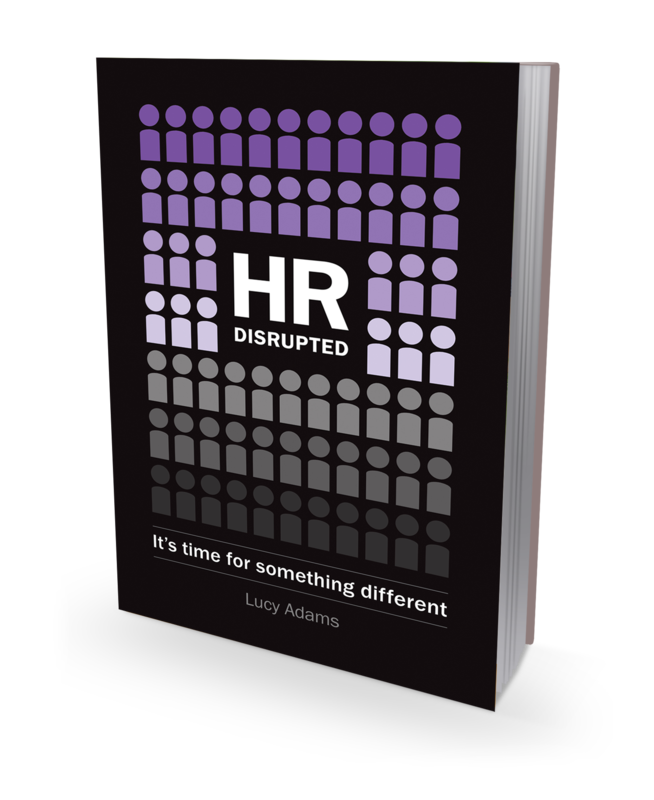 Why not get our book “HR Disrupted” for a new way of thinking about HR and practical tools to help you make the changes.Click here to order. As unpopular as it might be with leaders who often crave certainty, great HR is just ‘messy’. The HR leaders who are having the most impact, who are creating the conditions where people and organisations can thrive in our disrupted world are those who have the courage to avoid the neat solutions and instead offer messy solutions to the challenges we face. In this blog we explore what 'messy' HR looks like in practice. In the second part of this blog we share the ways in which organisations are taking fresh approaches to D&I. Diversity and inclusion is an area of HR that has long needed refreshing. This blog looks at why our typical approaches aren't working and the new trends that are really helping organisations become more diverse and inclusive.